For those of you were keeping count, how's about a cookie. Selena Gomez hasn't performed a concert in over a year. That all came to an end on day one of Boachella, when the "Taki Taki" crew of Cardi B, DJ Snake, Ozuna, and Ms. Gomez formed like Voltron in arid Colorado Desert stretch. 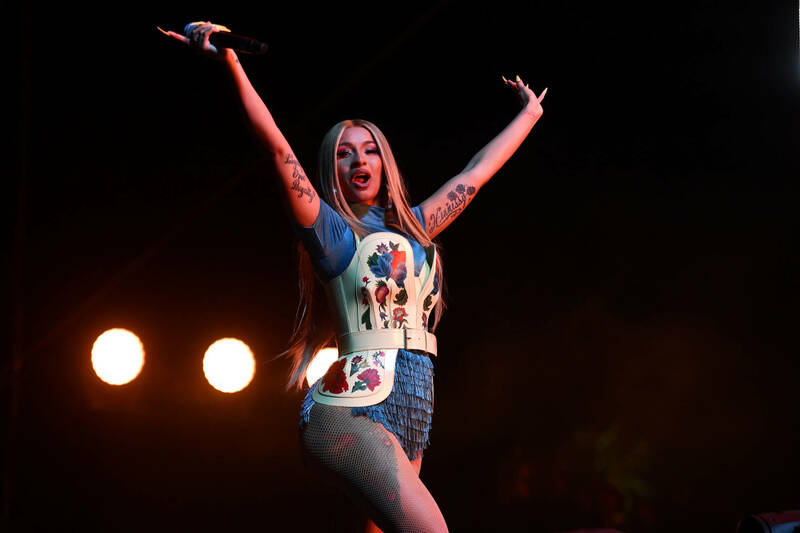 As you'll likely recall, Cardi B was the star of Coachella 2018 when she took to the stage with her pregnant belly. The last time Selena Gomez was onstage it was in support of her friend Taylor Swift during that infamous Reputation tour where she performed Kanye-inspired monologues at every turn. But I'll reserve judgment until the public reaches a consensus on the matter. Is hopping on stage for one song, and one song only, akin to breaking a concert drought, I'm not too sure myself. Coachella booked DJ Snake for the time slot, everything else came together organically. Selena stays in LA, Cardi B is in town because... Coachella is basically a celebrity fun-parade at this point. Shoutout to Ozuna though, it's funny how he only gets the short end of the stick (coverage-wise) in the American media. Everywhere else in the world, he gets top billing. Check out the footage up above. Sometimes a second-hand "festival experience" is the best one.